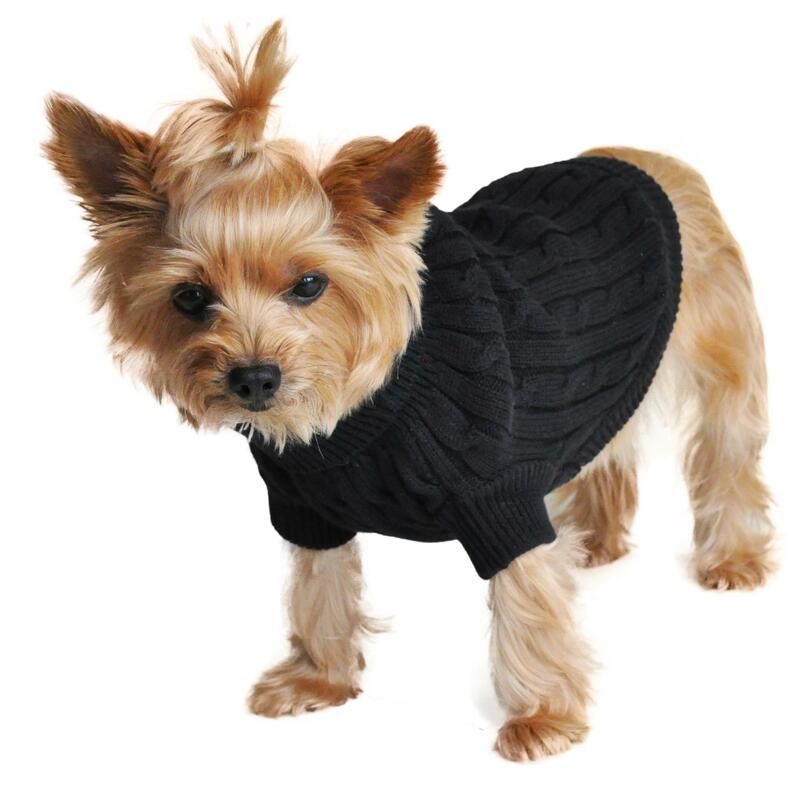 Fall will be your pup's favorite season when they get to wear this comfortable Combed Cotton Cable Knit Dog Sweater by Doggie Design in Jet Black! Looking for a classic style that's warm and cozy? If this toasty Black Cable Knit Sweater doesn’t make you want to cuddle up with your pup by the fire this Fall season, we aren’t sure what would. Cable Knit Dog Sweater by Doggie Design - Jet Black Customer Photos - Send us your photo! Posted On 07/24/18 by Susan G from West Lawn, PA Yes, Susan G recommends this product! One can never go wrong in basic black and this is perfect for fall and winter. 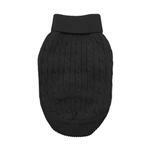 My bichipoos will get tons of wear out of this basic dog couture staple. Posted On 11/19/17 by Lila W from Clemmons, NC Yes, Lila W recommends this product! 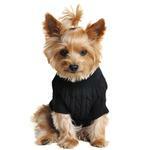 I bought this sweater for my Malshi's in black and red. They're very good quality, seem very comfortable. I ordered 1 a medium because my babies have long hair and still probably could've bought smalls. My boy looks just like the one on the picture and fits him just like that. Love it. Very good quality/well constructed. Posted On 10/24/17 by Lauren C from , IL Yes, Lauren C recommends this product! Bought one for my yorkie and one for my friends' Chihuahua! Both fit well except a tad roomy for Chihuahua but a smaller size would happen as an in-between size and would not be a better fit but rather too short. When a harness is worn it is perfect! For both these guys! I hope that the out of stock items I wish to purchase are back in stock soon.